Engineering Training is a new hope for learners to make their career fruitful and brighten as ever. It is considered as one of the essential part for the accomplishment of the Corporate Business. Monarch Techno Engineering Solutions Pvt. 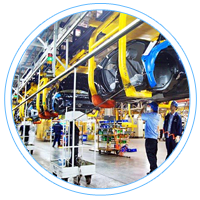 Ltd. offers training services on Smart Plant Electrical and other Corporate Training. At Monarch, our skilled trainers help in developing the potential of the student. 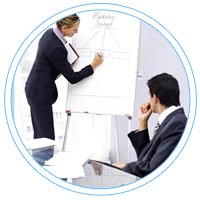 With the vision to provide complete knowledge on engineering software and to fulfil the corporate demands, we have organized Corporate Engineering Training Services. 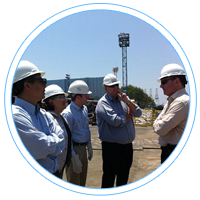 Our skilled trainers help in meeting your requirements in limited budget by providing training courses designed to address the specific demands of Oil and Gas companies. The course is tailored to the demands of industry professionals and merges academic consistency with applications to real-world situations. Further, engineering training services include several engineering & technical disciplines and give opportunity to work on several platforms globally. We have prepared new techniques and methodologies that help students to learn in advanced engineering environment. Till now, we have made the career of several students and provided them excellent opportunity in several oil and gas projects.